Our partner O’Reilly Media is followed by thought leaders, business analysts, and journalists for recognizing game-changing technologies and providing insightful editorial perspectives. 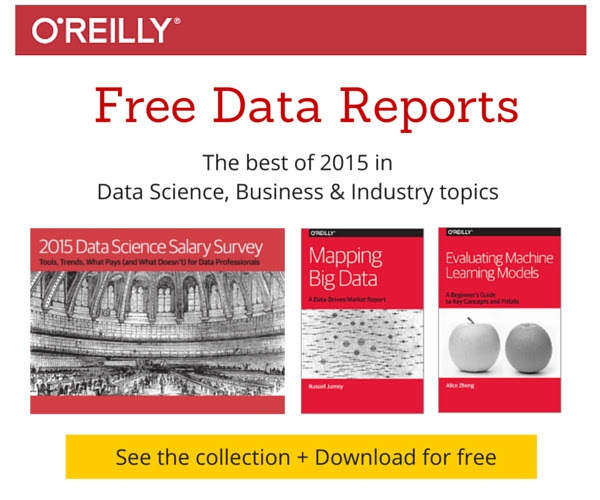 In case you missed it, the best of O’Reilly’s collection of data reports in 2015 is here in one place so you can catch up on the year’s best findings from top editors and authors about the latest trends in data. Get the best of 2015.